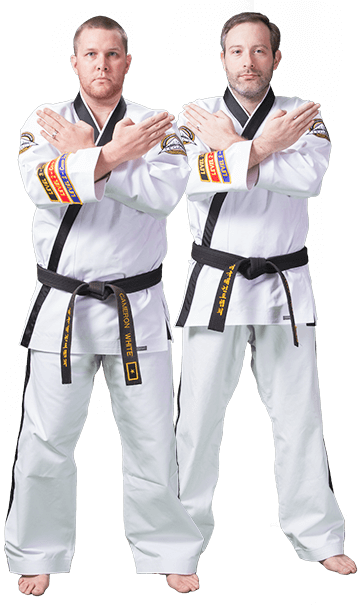 Hi, we are Cameron White and David Bell and we are the owners of Action Martial Arts. When we began our martial arts journeys, the positive impact it had on our lives was remarkable. It was always our dream to someday own our own school, and when we opened Action Martial Arts in 2015, we made a commitment to our community in Hoover & Vestavia Hills and the Birmingham area to create an enjoyable environment for students to improve their fitness, while building confidence they can carry into their everyday lives. Our children's martial arts program creates leaders. We do this by teaching the same values you teach at home. Our adult program is second to none. From traditional martial arts to more modern self-defense styles, there is something for everyone at Action Martial Arts. If you are looking to burn major calories, learn self-defense moves and get in the best shape of your life, you must come and check out our program. Our son takes lessons here and he loves it. They have an excellent kids program and really help develop responsibility and good behavior in their young students. Highly recommended. My son goes here twice a week and it has helped him tremendously with his confidence and self image. He's become a better kid and has learned to never give up with these guys. My two youngest sisters attend class at ATA. My boyfriend and I came home about a week ago and my youngest sister asked me to be her "buddy" in class. My too-cool attitude was like this will be so easy. WRONG! My sister is the one that is too-cool. It was an amazing class. Then my second youngest sister asked my boyfriend to be her "buddy." I swear to you.. he was so sweaty! After that class, me and my boyfriend took the workout class with the second oldest. WE HAD A BLAST! It was tough, but good tough. We had such a wonderful time. Both Mr. Bell & Mr. White did an outstanding job with both my sisters, me, and my boyfriend. Whenever we visit, we will be back in class! Instructors are great with the kids! The classes are not just about kicking & punching but they also learn confidence & respect for others.